President Muhammadu Buhari will have to battle more than 70 opponents if he hopes to win the battle for a second term in the 2019 presidential election. The Independent National Electoral Commission (INEC) published the forms and particulars of candidates submitted by political parties for the 2019 general elections at its offices across the federation on Thursday, October 25, 2018, and Buhari will be facing scores of contestants eyeing the presidency. Of all 91 parties in the country, 89 had expressed their intention to field candidates at next year’s polls. According to a report by The Punch, over 70 names had been posted as of Thursday night with more expected to be posted on Friday, October 26. “”So far, over 70 candidates have been counted. A more comprehensive list will be published on Friday,” a source said. 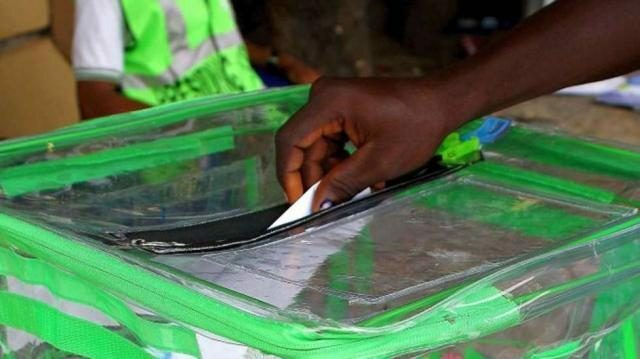 While next year’s election is expected to be keenly-contested between President Buhari of the All Progressives’ Congress (APC) and former Vice President, Atiku Abubakar, of the People’s Democratic Party (PDP), they face competition from other candidates including Donald Duke of the Social Democratic Party (SDP), Kingsley Moghalu of the Young Progressive Party (YPP), Obiageli Ezekwesili of the Allied Congress Party of Nigeria (ACPN), Fela Durotoye of the Alliance for New Nigeria (ANN), and Omoyele Sowore of the African Action Congress (AAC). Others are Tope Fasua of the Abundance Nigeria Renewal Party (ANRP), Eunice Atuejide of the National Interest Party (NIP), Olusegun Mimiko of the Zenith Labour Party (ZLP), Adesina Fagbenro-Byron of the Kowa Party (KP), Chike Ukaegbu of the Advanced Allied Party (AAP), Hamza Al-Mustapha of the People’s Party of Nigeria (PPN), Obadiah Mailafia of the African Democratic Congress (ADC), and many more.